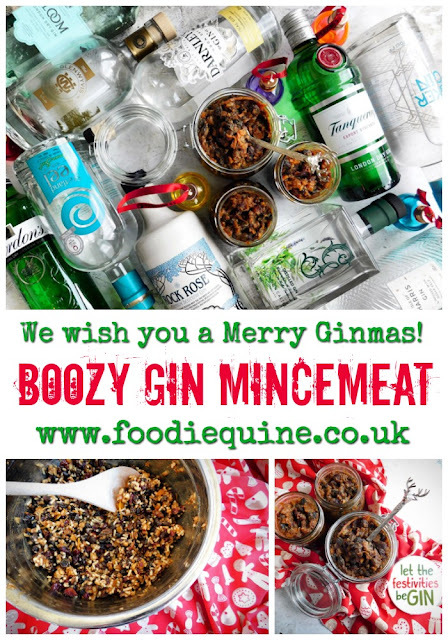 Have yourself a Merry Little Ginmas with my recipe for Boozy Gin Mincemeat. Perfect for all those festive cakes and bakes and would make a great Christmas gift for a Gin lover. We're into November. Halloween and Bonfire night have been and gone with a bang and we're now officially allowed to mention the C word. Yup I'm talking Christmas. Have you put your sprouts on to boil yet?! Of course in with all the shopping, parties and general festivities food (and drink!) plays a huge part. For me nothing says Christmas quite like a mincemeat pie. However I have to limit myself as once I start on them I literally can. not. stop. Last year I created quite a stir with a couple of Gin infused festive recipes. Yup, I'm talking about my Mulled Gin and Ginger Beer winter warmer and my Gin Butter - perfect for your Christmas Pudding and Mince Pies. This year I'm going a step further with my own homemade Boozy Gin Mincemeat. This means you can have a Gin Mincemeat Pie with a dollop of Gin Butter on the side all washed down with a warming glass of Mulled Gin. Sounds like a very Merry Ginmass to me! There is no minced beef in mincemeat and if you use a vegetarian suet rather than the traditional beef you'll have a Vegan Gin Mincemeat. When it comes to the dried fruit you can either mix up 650g to your own specification or use the same quantity from a pack of dried mixed fruit. 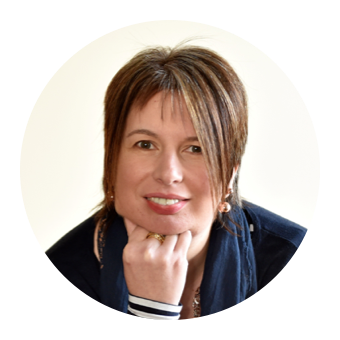 I've used raisins, sultanas, currants and craisins but you could also add more exotic flavours such as apricots, cherries, pineapple, ginger, or prunes. If nuts are your thing they too could also be added to the mix - almonds, pecans and pistachios work really well. When it comes to the Gin the world is quite literally your oyster! I used one of my favourite Scottish Gins - there are SO many to choose from. You could even use Sloe Gin or a Mulled Gin for a further festive twist. Slainte! Prepare and mix all of the ingredients - EXCEPT the Gin - in a large ovenproof bowl/dish. Cover with tinfoil and leave overnight. The next day preheat your oven to 100c. Once it is up to temperature place the bowl/dish of mincemeat into the oven - still covered with the tinfoil. Bake for 2 hours 30 minutes. Once the mixture is cool stir in the Gin. Spoon into sterilised jars, packing it down well. Cover with waxed discs and seal. Ideally, allow the mincemeat to mature for a fortnight before using. It will keep in a cool dark place for up to 1 year. Note from Delia: To sterilise jars, wash the jars and lids in warm soapy water, rinse well, then dry thoroughly with a clean tea cloth, place them on a baking tray and pop into a medium oven, gas mark 4, 350°F, 180°C, for 5 minutes. I know quite a few friends who would love this. I don't like gin myself but I can imagine this would be very popular. It's definitely time to start planning for Christmas. Oh I am SO jealous of your Gin collection Claire!! This looks totally fab - what a lovely way to make old-fashioned mince pies super-trendy. Love it! Mmmmm, I've got a perfect Gin Bothy spicy gin that would be great for this - maybe everything this Christmas will be 'with Gin'...? This sounds like it has so much flavour - love the boozy addition! Not sure I've ever had craisins in mincemeat before either. What a great idea! This would definitely be the best gift ever to someone who like gin.